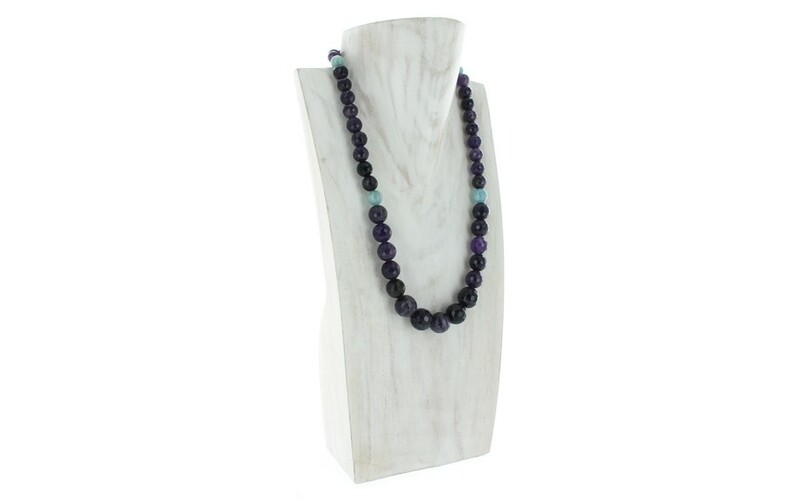 Faceted round beads of luscious dark purple amethyst are strung in a single strand. 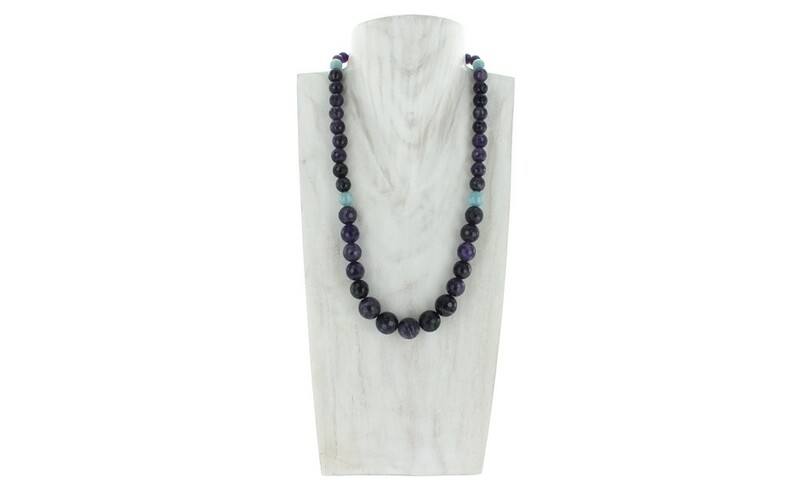 Four smooth, milky blue aquamarine beads accent the necklace, adding some visual interest. 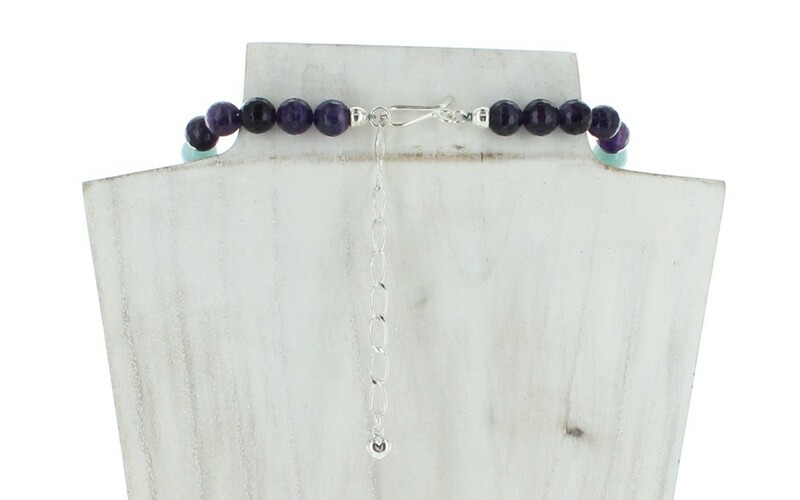 The beads are strung in a graduated style. The largest bead measures 14mm and the smallest measures 8mm. 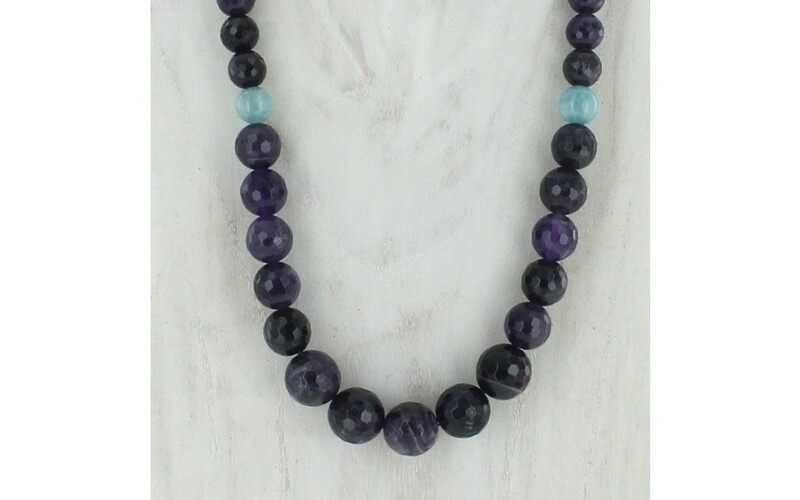 The amethyst was mined in Zambia and the aquamarines were mined in China.